Is there a better alternative to DateControl? Is DateControl really the best app in Libraries category? Will DateControl work good on macOS 10.13.4? 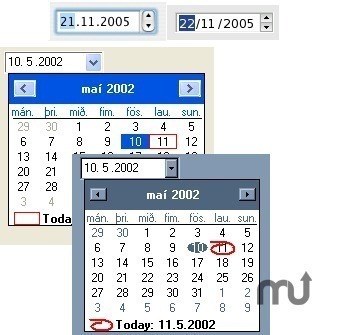 DateControl is a Xojo/Real Studio control plugin to create a Date-picker. The Control is displayed according to control panel date settings, or in exclusive mm.dd.yyyy, exclusive dd.mm.yyyy or exclusive SQL format mode. "NULL" dates or what some would call no selection is supported. The control uses native Windows control on Windows systems, and native Theme Rendering on Mac OS X and Linux systems. The Plugin is supported on Mac OS Classic, Mac OS X, Windows x86, and Linux systems. Fixed rare crash that could happen on 64 bit applications on Mac and Linux systems when using complex setups of dialogs. DateControl needs a review. Be the first to review this app and get the discussion started! DateControl needs a rating. Be the first to rate this app and get the discussion started!